One-piece body design for fewer parts to clean or lose. Food products do not bake on or adhere to pump body making clean up a snap. Accurate portion control provides consistent and accurate dispensing of product. Star specialty pumps are a perfect fit in Star’s Specialty Warmers and Condiment Dispensers. Each pump is designed with a heavy-duty molded body to improve performance and is virtually indestructible. Specialty warming accessories are made of all stainless steel for constant durable performance. 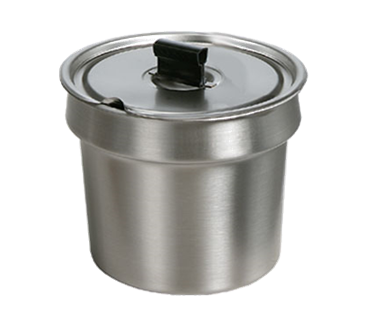 Star specialty warmer accessories accommodate a variety of foodservice warming and holding requirements. Star’s pumps and accessories are ideal for hot and cold condiments including cheese, chili sauce, hot fudge, ketchup, mustard and many other condiments or dressings. Specialty warming accessories are constructed of all stainless steel. Star’s patented pump design combines stainless steel with a one piece injected molded polypropylene plastic body. Pumps and accessories are covered by Star’s one year parts and labor warranty.